You have probably seen your fair share of dogs that are carrying a little more weight than they should be. What you may not realize, however, is that all that extra weight could decrease the dog’s lifespan and contribute to other health problems. If you want what is best for your dog, do what you can to keep him at a healthy weight. Every dog is different, so the weight that is “healthy” for one dog might be too high or too low for another dog. 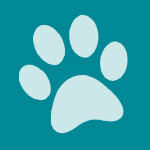 Each individual dog’s healthy weight is determined by his breed, age, and activity level. Some breeds like Rottweilers and St. Bernards are meant to have a thicker frame while others, like Greyhounds and terriers are naturally thin. It is important for you to learn how to determine the proper weight for your individual dog – your veterinarian can help you do this. Some of the breeds that have a higher tendency toward obesity include: dachshunds, beagles, cocker spaniels, labs, golden retrievers, rottweilers and newfoundlands. One of the main causes of obesity in dogs is overfeeding – many owners give in to the temptation to offer their dogs table scraps or simply give them too much food throughout the day. Once a dog becomes obese it can be difficult for him to lose the extra weight, but it is possible. The two most effective ways to help your dog lose weight is to reduce the portion size or to switch to a food that has fewer calories per serving – you may even need to use a combination of both methods. Making sure that your dog gets adequate daily exercise will also help him to maintain a healthy body weight. 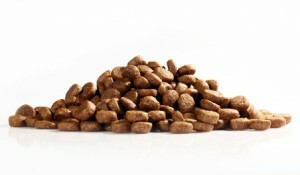 Don’t be fooled by “low fat” dog foods because they also tend to be low in protein. Look for a food that provides for all of your dog’s basic nutritional needs without any additional ingredients that could cause your dog to gain weight. OK I am so confused can you please tell me which is the better of them all I was reading about Orijen is that a good one for weight loss.. and how do you feel about Science Diet?